counter point to your presumption of cell phones are "absolutely safe." radio and television transmitters, most of which back in the "old days"
shielding. Linwood died of old age in his 90's. your phone with its puny .2 watt transmitter? Of course not...no power! old Voice Of America transmitter in the hold. 500,000 watts from Ohio and Greenville, NC. I've been to NC to tour it. Now, let's talk about the REAL reason for all this panic.....M-O-N-E-Y! "channels per square mile" that could be running up those minute meters. minute meters per square mile clicking away. really sucked. Sales dropped off and bagphones were put back on the air. convince them those awful "high-powered" phones are just frying the kids! sectors, and only then in the overlap between two minicells. minutes because our competitors did. > multi-megawatt troposcatter phone transmitters. I am sure you know about the inverse square law. > radio and television transmitters, most of which back in the "old days"
> shielding. Linwood died of old age in his 90's. > your phone with its puny .2 watt transmitter? Of course not...no power! > old Voice Of America transmitter in the hold. 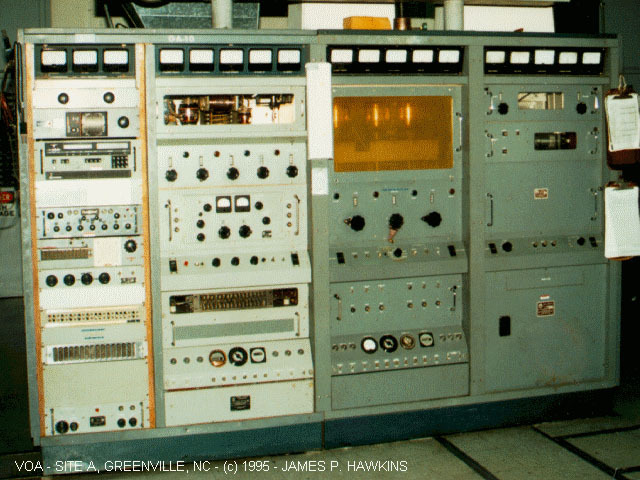 > 500,000 watts from Ohio and Greenville, NC. I've been to NC to tour it. > Amazing power since WW2. the exact genes that grandpa had? > Now, let's talk about the REAL reason for all this panic.....M-O-N-E-Y! > "channels per square mile" that could be running up those minute meters. > minute meters per square mile clicking away. > really sucked. Sales dropped off and bagphones were put back on the air. > convince them those awful "high-powered" phones are just frying the kids! > sectors, and only then in the overlap between two minicells. > minutes because our competitors did. > the exact genes that grandpa had? Freon 12 in your car....it's about money. sitting for 60 hours a week for 30 years in front of it. the countries....to protect us. Your measily milliwatt cellphone at 6"
isn't nearly as intense as Rock 96 FM's blowtorch just down the street. minute of every day from everywhere BESIDES the cellphone. >> the exact genes that grandpa had? > Freon 12 in your car....it's about money. > sitting for 60 hours a week for 30 years in front of it. > the countries....to protect us. Your measily milliwatt cellphone at 6"
> isn't nearly as intense as Rock 96 FM's blowtorch just down the street. > Pseudo-science. Fun stuff, eh? out for heating effects at the higher frequencies and powers. > minute of every day from everywhere BESIDES the cellphone. > fall out!" Isn't that convenient?! not to mention, obesity and hairloss. A standard household light bulb emits about 1 milli-gauss at 1/2 inch. I purchased a motor home from a RV 'lifer', well, until his wife died. from the speaker ( during recieve). /differentials/ as sampled using the 'normal' environment noise. Might I suggest a tinfoil hat? | after I clicked the 'Send' button. by it all account for a loss of 1/3 of the power generated from leakage. the phone, you probably won't like the shirt either. the ones show. Sorry to be a bother, but I did tell you I was selling em.